Is your dental bill starting to look like someone’s gone on a shopping spree? Maybe you feel like your dentist is charging you an arm and a leg for basic dental work. If you think the prices are too high, you may need to start looking for a more affordable dentist in your area. Once your dentist has given you a treatment plan, consider visiting a 2nd or 3rd dentist in the area to get another opinion. Take their recommendations and compare them to one another, to see which is more affordable. Even if you have dental insurance, it will likely cover a free 2nd opinion. If it’s just a consultation, you can bring your x-ray with you and save even more money. 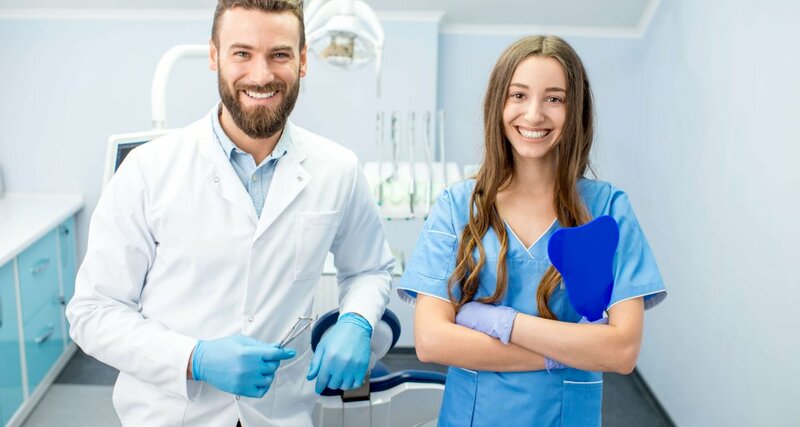 If the dentist knows you’re there for a 2nd opinion (you don’t have to tell them if you don’t want to,) they may be more likely to try to come up with the most conservative and cost-effective option available. If they recommend the same treatment as your previous dentist, you can at least compare the price differences. Cost of living significantly impacts the prices charged at dental offices throughout the country. If real estate prices are higher, there’s a good chance that the dental care may cost more as well. For people who are able to get outside of town, you may find that there is more affordable dentists just a half hour drive away. It’s not uncommon for people to see a dentist that’s an hour or more from their home if they visit that area regularly for personal or professional reasons. Your dentist will want to recommend the most appropriate type of treatment for your tooth; in many cases, it’s the one they would want if it were their own mouth. However, priorities differ from one person to the next. Maybe you’re more concerned about comfort than aesthetics or are comfortable with wearing a removable prosthesis instead of getting an implant. Asking “what other options are there?” can help you make a more informed choice about your treatment…and the number on the bill. For instance, you might have an option to attempt a root canal on a problematic tooth, then reinforce it with a crown. But maybe the better choice for your personal preferences is having the tooth extracted and then planning on a dental implant. There’s always the option of not treating the tooth at all…but this choice can usually lead to bigger (and costlier) concerns with time. By the point the tooth becomes too painful to bear, there may be other teeth giving you problems as well. Sometimes the more affordable dentist is the one that isn’t in-network with your insurance company. Your insurance provider may tell you that they cover less of the cost, but after you do the math, that may still be more affordable than seeing the more expensive dentist that’s in your plan’s network. Double check that your insurance can even be filed for out-of-network dentists; depending on the type of plan you have, this might not be allowed. For instance, HMOs don’t allow you to use your benefits at dental offices who aren’t in a contract with them, but a PPO will. When in doubt, ask the dentist who you’re looking to schedule the appointment with; they can let you know one way or the other. Are you restricting your choice of dentists to who is in-network with your insurance plan? You may want to look for an affordable alternative. Discount dental programs are a great way to get 10-60% off of your treatment and your card is accepted at participating dental offices around the country if you choose a nationwide plan. If you’re at home or traveling, you get the same great discounts on your treatment without the headache of wondering if your insurance is going to cover it or not. Does a discount dental plan sound like the right option for you? 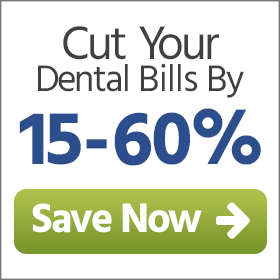 Talk to the savings experts at LowerMyDentalBills.com to find out more or to sign up right away.